Mandram, a global platform for people interested in Tamil language and literature, marks the coming together of people from different backgrounds to share their perspectives, journey and success stories for everyone to be inspired. The first ever Mandram was organised in Chennai with speakers from varied backgrounds like science, art and culture sharing their perspectives. 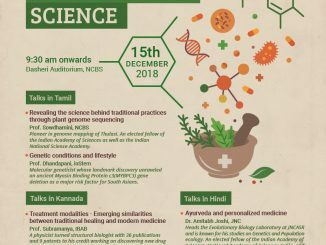 The next event of Mandram is being held in Bengaluru on June 9 in collaboration with National Centre for Biological Sciences (NCBS) at the NCBS campus, Kodigehalli from 3.30 pm- 6 pm. 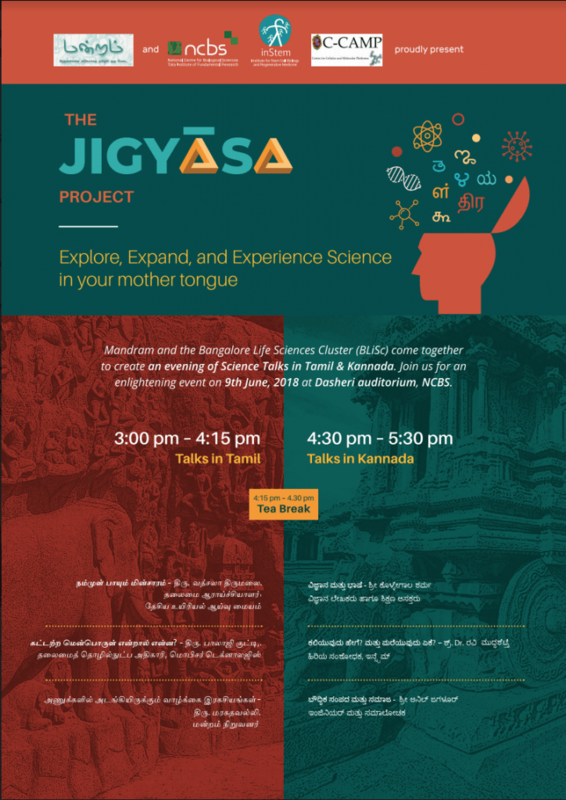 Mandram expands with this event to present the Jigyasa project, where Kannada is also included in the platform. On June 9, we will have six speakers giving talks in Kannada and Tamil, organised by Mandram and NCBS. 1) Kollegala Sharma: Sharma is a zoologist by training and has worked as an academic, researcher and has authored many books. He is a vocal advocate of science who thinks it should reach people across language barriers. He will be speaking about Language and Science, in Kannada. 3) Vatsala Thirumalai: Vatsala leads the research on neural control of movement during development and in adulthood at NCBS. She will be talking in Tamil about electric impulses that flow through the human body. 4) Balaji Kutty: Balaji is the co-founder of Free Software Movement in Karnataka and is an entrepreneur and social activist keen on making software and computing skills accessible to all. Balaji’s speech will be in Tamil and he speaks on the free software movement. Mandram was started in Jan 2018 by Maragathavalli Inbamuthiah (Director, AnitaB.org India), Venkatarama Ramachandran (Digital Story Teller and Product Manager) and Ravi Venkatesan (Creator of first ever sanskrit animated movie Punyakoti). Eminent scientists will share their knowledge in their mother tongues at this event.